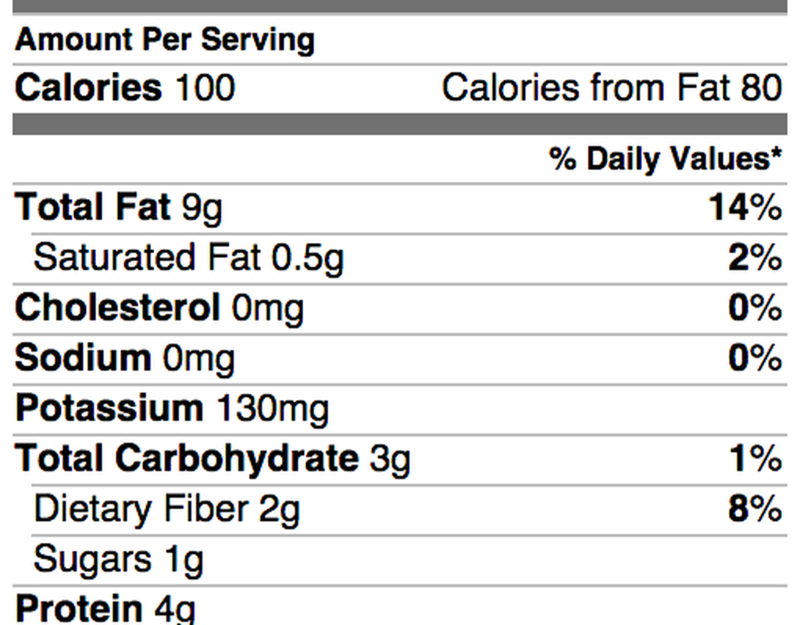 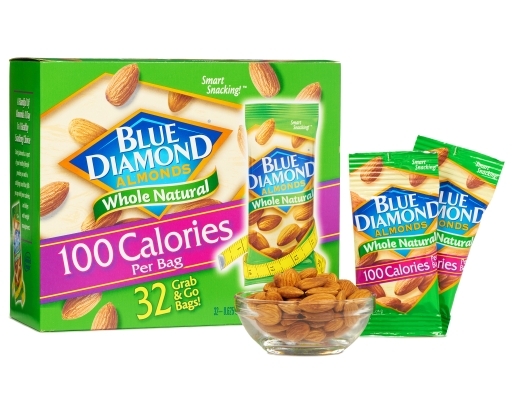 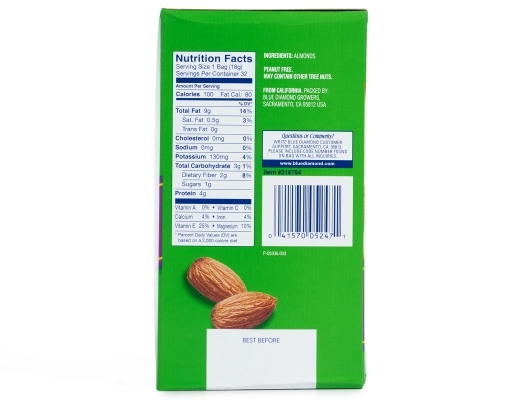 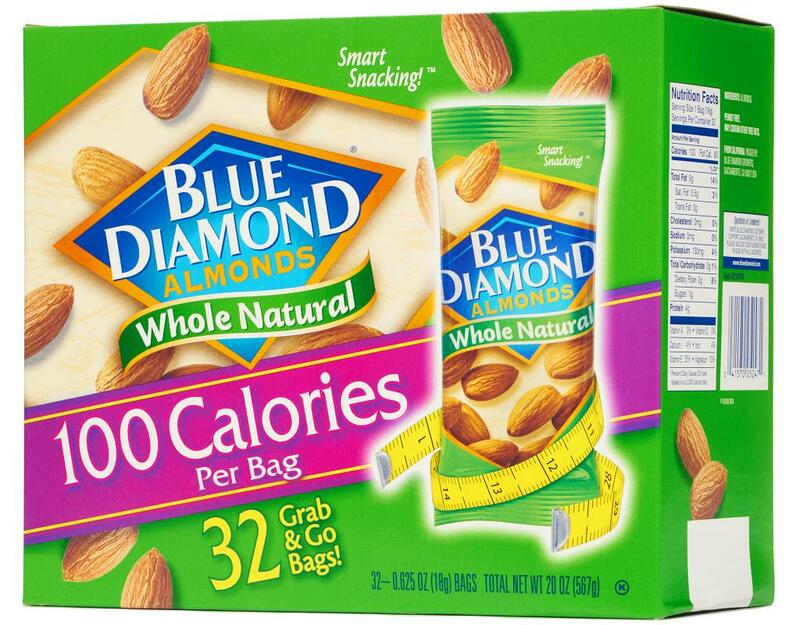 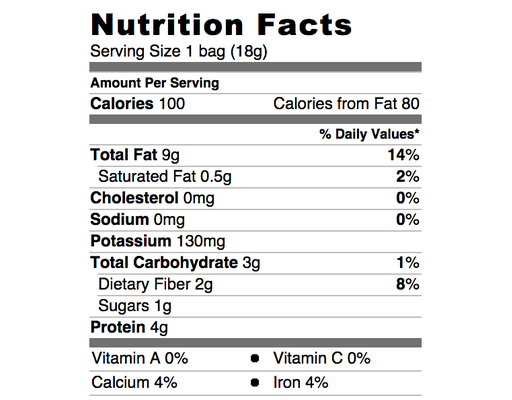 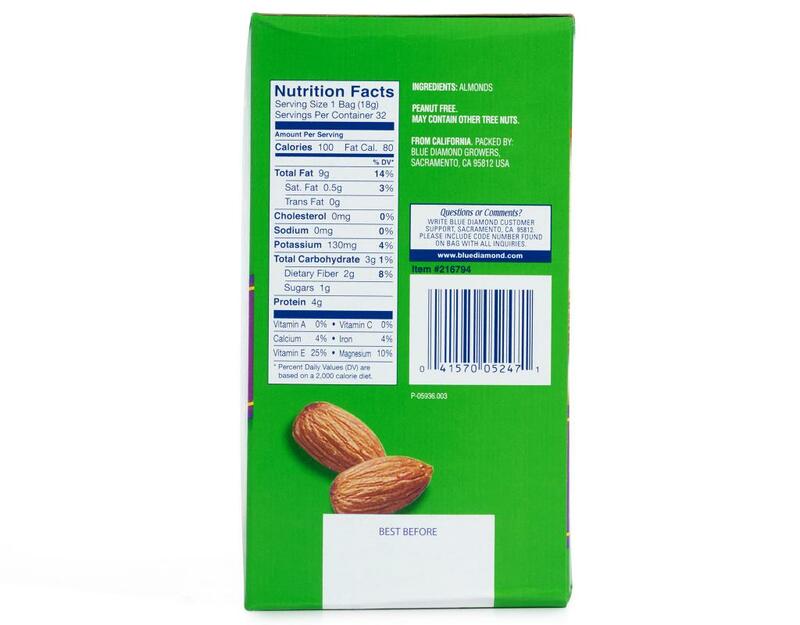 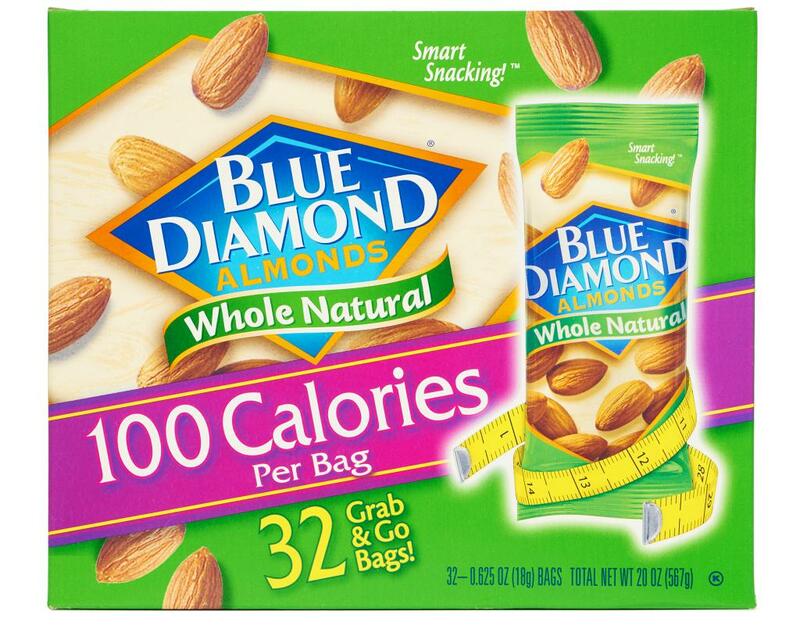 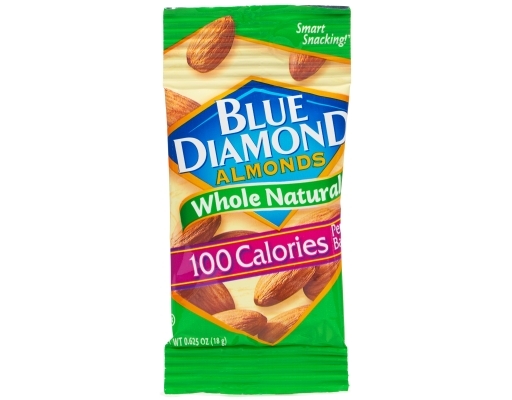 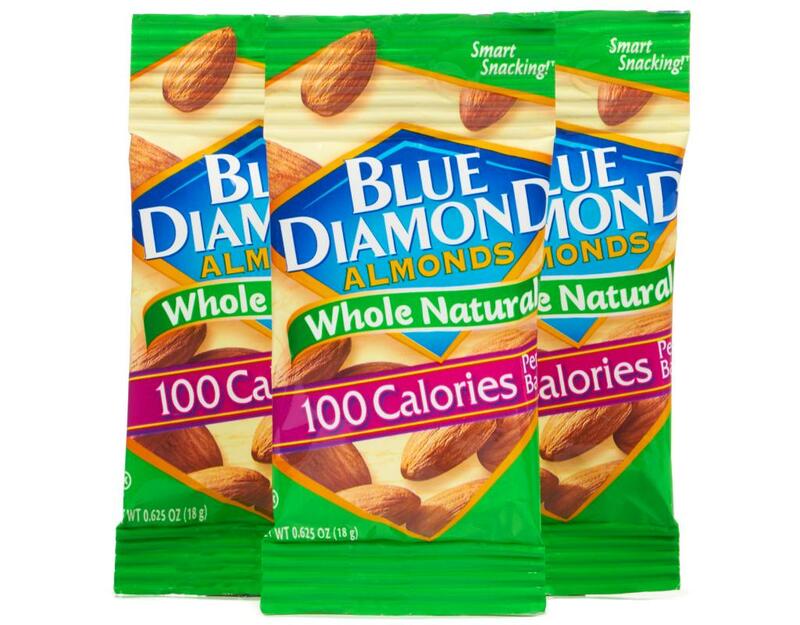 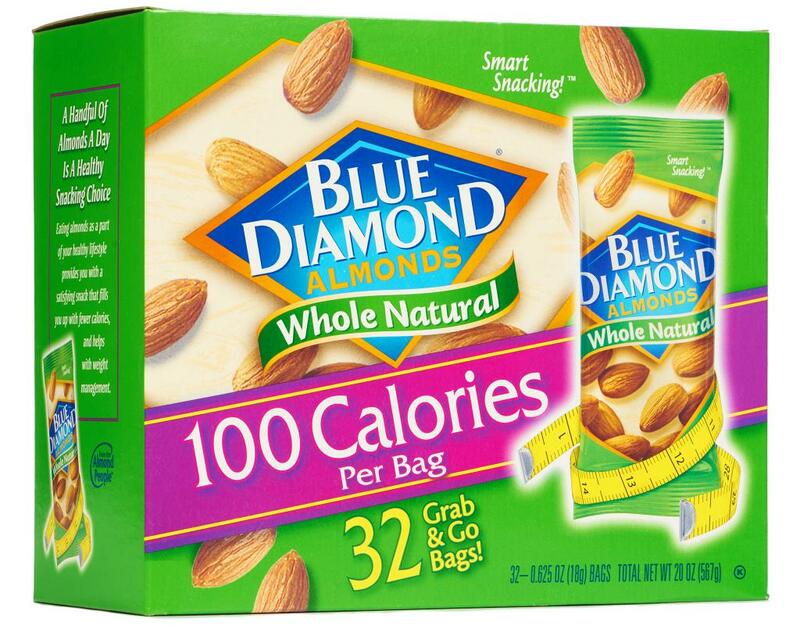 A handful of almonds a day is a healthy snacking choice. 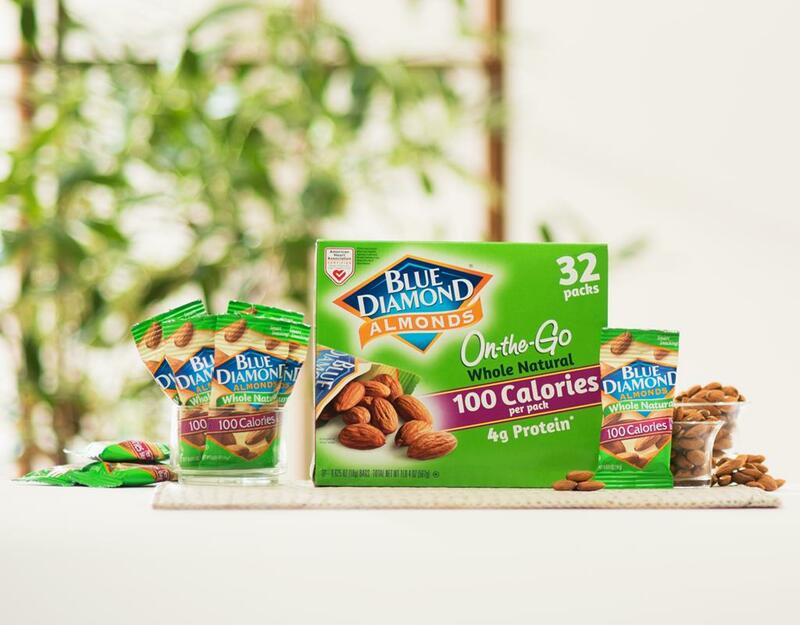 Eating almonds as a part of your healthy lifestyle provides you with a satisfying snack that fills you up with fewer calories, and helps with weight management. Perfect for active lifestyles, the 100 Calorie pack is a great on-the-go snack for hiking or biking and makes a great tasting healthy addition to kids school lunches.